Wish You All Happy Ganesh Chaturthi!!! Ganesh Chaturthi or the birthday of Ganesha (God of Wisdom and Prosperity) falls on the fourth day of the Hindu month of Bhadrapada (around August-September). It is celebrated all across India and is the biggest festival in states like Andhra Pradesh, Maharashtra and TamilNadu. 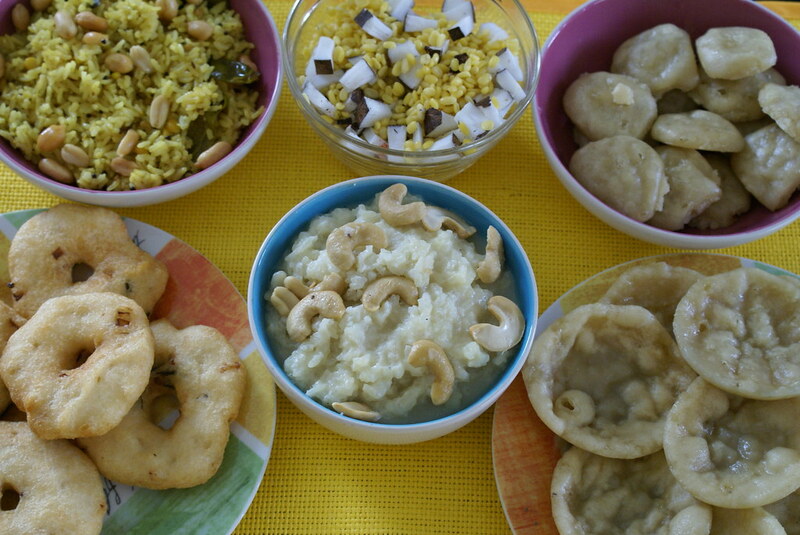 I used to long for the modaks and all the goodies prepared on that day for the “Naivedyam”. In short this is the festival enjoyed by everyone!! ← Heaven on Earth : Switzerland !!! 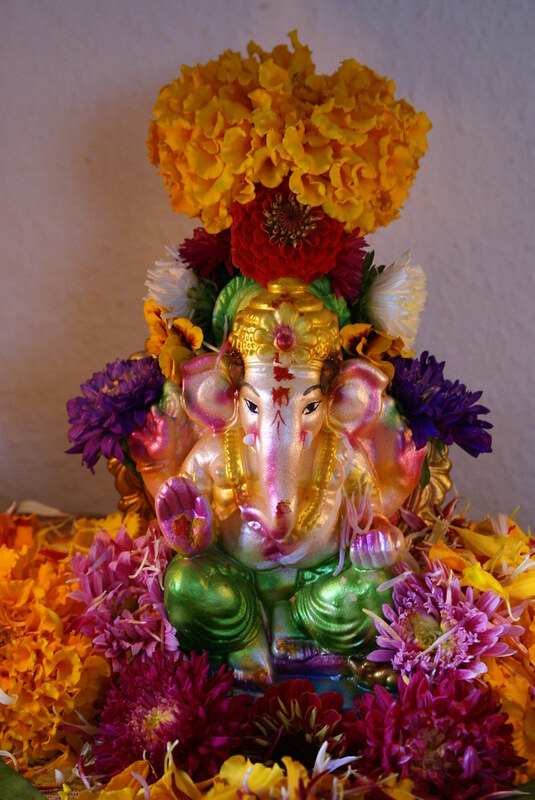 thanx for stopping by to my blog.Ur ganesha looks so devine . Do visit always and give ur valuable comments. First of all, I admire the beauty of your ganesha. your decoration and everything reminds me those happy festive days back home.I miss them all here.Thanks for stopping by my blog and showing me way to yours.You have a beautiful blog here.I liked the template and your choice of colours especially. I also liked your “typical hyderabadi” points.Happy blogging and hoping to see many more great posts ahead. Lovely spread. Its a treat to see n i m sure must have been heavenly to eat. bhale unnayi vantakallannii. :) and ganesha vigraham is so beautiful..
welcome back cinnoman…where are your trip photos?…and Lord Vinayaka looks so wonderful…very nice..
Beautiful 🙂 Hope you enjoyed the festival. Ganesha and neivedyam both r looking good i hope ganesha have finished all without letting u have one.well who can resist this. hey your kudumulu looks different! wish you a happy chaviti! lovely pics and beautiful treat to eyes. 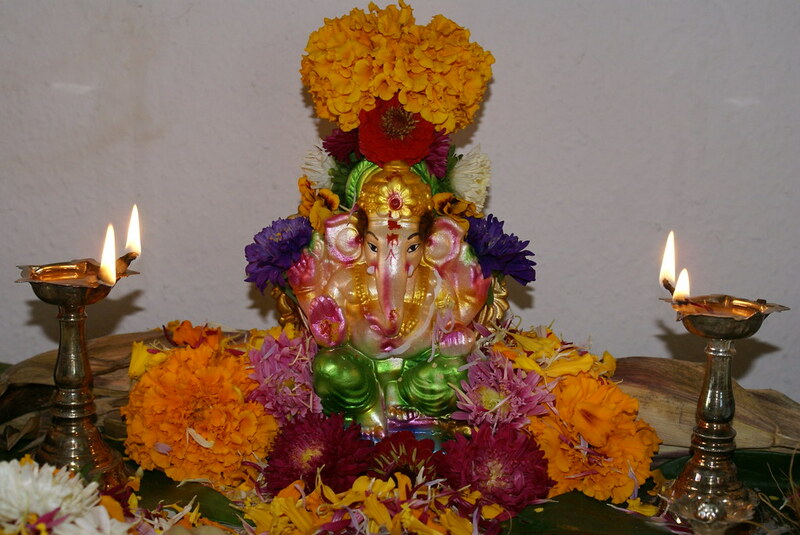 You Ganesha looks so cute, here we dont get such idols..it must be a festive look Hyd is wearing on! Fabulous Ganesh idols.Thanks Cinnamon for sharing.